ACL for Tizen & Its all supported apps have just disappeared from Tizen Store without any notice. Many users have noticed it in Tizen Store in all Tizen supported countries. 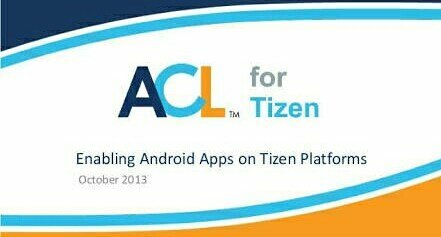 The ACL for Tizen is essential app or you can say the tool to run all its supported apps has been removed from store. There is no news whether it is removed by developers or it is any kind of bug. There are more than 12 apps currently running by the help of this tool. The popular apps in Tizen Store, UC Browser, SHAREit, UC Mini Browser, UC News, Flipkart, Angry Birds, MX Player, PIP Camera & Oxford Dictionary are supported by this tool. It was fine until yesterday, but since today its disappearance have made everyone surprised. All supported apps are highly recommended apps in Tizen smartphones, used by nearly all users in their daily life. The UC Browser is one of the most used third party browser on Samsung Z4 & Samsung Z2. SHAREit is most used sharing app in between users to send personal stuffs to other phones. UC Mini is web version of UC Browser and Oxford Dictionary is helpful to find out meanings of English words. Flipkart is online shopping app used in India and MX Player is best video player tool to run any kind of videos. There are too many other apps that are not present in the store. After the user’s high demands Tizen team had built these all for Tizen smartphones so they are lot mean to all users. These apps only disappeared from Tizen Store. If you already downloaded some of them then you can use them without any hiccups. Just don’t uninstall ACL for Tizen tool otherwise all its supported apps will stop working. I will inform you more if there is any official news on it. It is must have app for all Tizen phones so I don’t think developers will pull it out for long time. What do you think on this news, express your thoughts in comments box below. Acl for tizen is not supporting. With out acl apps tizen is use for nothing. What should I do my Samsung Z2 does not download anything from Tizen store, the only displays “Network error occurred. Try again (0x21003)”? Hello. ACL for Tizen isn’t working after I updated it Update version of 31st Dec 2017.Every ACL app fails to launch . Please help me . If you have Tpk of ACL for tizen previous version then please send me . Right now there is no news from official developers. I will inform you when there is any news.